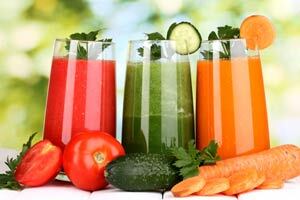 How Organic Juices Can Transform Your Life-Magical Benefits? When it comes to the well-being of your family, you can never really trust the packed food items available in the supermarket aisles. It is time you chuck the artificial juice boxes and switch over to organic fruits and veggies. Fresh and natural, organic juices are free from chemicals that are harmful for the body. Packed juices from branded companies that claim to offer natural fruit juices are not only bogus but pretty expensive as well. Get a juicer instead! A one-time investment, juicers are profitable for you in the long run. Also most of the fruits and vegetables you get in malls are adulterated or contain artificial preservatives. Buy organic fruits and veggies from the local countryside markets instead. They are fresh, cheap and tasty. Not every fruit or vegetable can be consumed directly, there are some that needs to be peeled and chopped first. Juicing is a quicker and convenient option for people who find the act of cutting fruits cumbersome. Just put all the ingredients in the blender and you’re sorted. Oranges, lime, kale, carrots and other fruits and vegetables have high nutritional content and are really good for the body. Rich in vitamins and minerals, the juice extracted from these fruits and veggies really boosts your immunity. It strengthens you from within so that you’re not vulnerable to virus and other bacterial infections. Organic juices are high on water content and rich in fibre. 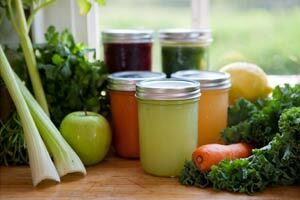 Most nutritionists and dieticians recommend organic juices for all your weight related issues. Vegetables such as cucumbers, carrots, spinach, lime etc. are fat free and rich in omega 3 fatty acids; this increases the metabolism rate of the body helping you shed the kilos faster. Consuming organic fruits and veggies also helps in muscle growth and strong bones. It is an excellent post workout drink for fitness freaks who want a ripped and muscular body. Green leafy vegetables like spinach contain many vitamins and minerals that improve the blood production in the body. Chuck the vitamin tablets and protein shakes, organic juices offer you the real thing! Organic juices keep you cholesterol, blood pressure and sugar levels in control. The low calorie content keeps your weight in check thereby reducing the risk of strokes and heart disease. Also fruit juices have Vitamin C that detoxifies the body and enhance blood circulation preventing ulcers and kidney stones. Want to get rid of pimples and acnes? Organic juices are rich in antioxidants that flush out the harmful toxins, cleansing the body. Better than the cosmetic products you get in the market fruit juices give you naturally healthy and glowing skin. It reduces dark patches and gives you an even toned complexion. Also getting rid of dark circles and baggy eyes has never been easier! Orange, apple, cucumber and watermelon juice etc. keeps you refreshed and enhances by natural beauty tips. Other than the many health benefits, organic juices are good for the environment as well. Free from any sort of artificial fertilizer or pesticides, organic juices are absolutely environment friendly and natural. Organic farming practices maintain ecological balance and keep underground water levels pure and chemical free. Also organic farms that use natural fertilizers enhance the soil fertility and productivity. Do you bit for the environment, endorse organic juices. A wholesome scrumptious and smart option, organic juices are a perfect breakfast option for you and your family. Instead of spending tons on artificial fruit juices, it is better that you get a blender and juice your favourite fruits and vegetables every day! Check out the many brands of juicers available in the market and compare the features and price range well before buying them. Previous PostPrevious Erorectin Reviews – Is It Safe and Effective? Find Out Now! Does Medication Assisted Treatment Therapy Help With Opioid Addiction?